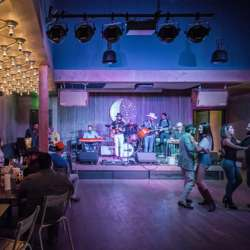 We look forward to seeing you at Goodnight Charlie's, Houston's contemporary hangout. Let's raise a drink or two, socialize, and enjoy a good time together! For many guests, it will be their very first InterNations event! Many people attend these events on their own to meet great people like yourself! Let’s all give the newbies a warm InterNations welcome! Go ahead and introduce yourself and your friends to them! Share the spirit of our connecting global minds! As always this event will be photographed and we post the pictures on the InterNations website for all members to re-live the moment! We look forward to seeing everyone on Tuesday, April 23rd!